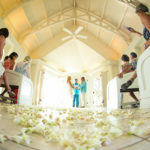 Kona Wedding Photographer, Bob Brown, photographed this wedding at the Sheraton Resort and Spa on the Big Island of Hawaii. The couple started with a first look before the ceremony followed by portraits. 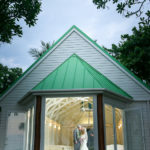 Then they had their ceremony behind the chapel overlooking the ocean. A small wedding with their family and a few friends. Photos after ceremony on the beach and the beautiful grounds of the resort.